After one of the most violent and divisive election seasons in Brazil’s history, far-right congressman Jair Bolsonaro is the president-elect. Bolsonaro was declared the winner Sunday by the Supreme Electoral Tribunal after 94 percent of the votes had been counted. Bolsonaro won by a large margin, garnering 55 percent of the votes. His left-wing opponent, Fernando Haddad, had only 44 percent. Haddad had originally been running on the ballot with former President Luiz Inacio Lula da Silva but replaced Lula after he was sentenced to 12 years in prison for corruption and money laundering. Many voters supported Bolsonaro not for his own policies, but in order to prevent Lula’s Workers’ Party (PT) from staying in office. According to Haddad, Bolsonaro’s policies and rhetoric put Brazil’s democracy “at stake.” He promised during his campaign to open up tracks of the Amazon rainforest to corporate development, which the Amazon Watch program cautioned against in a statement to CNN. The campaign came in the middle of a prolonged recession, increasing crime rates and large-scale corruption scandals. Each party used extremely hostile rhetoric, which was recreated by supporters on both sides. 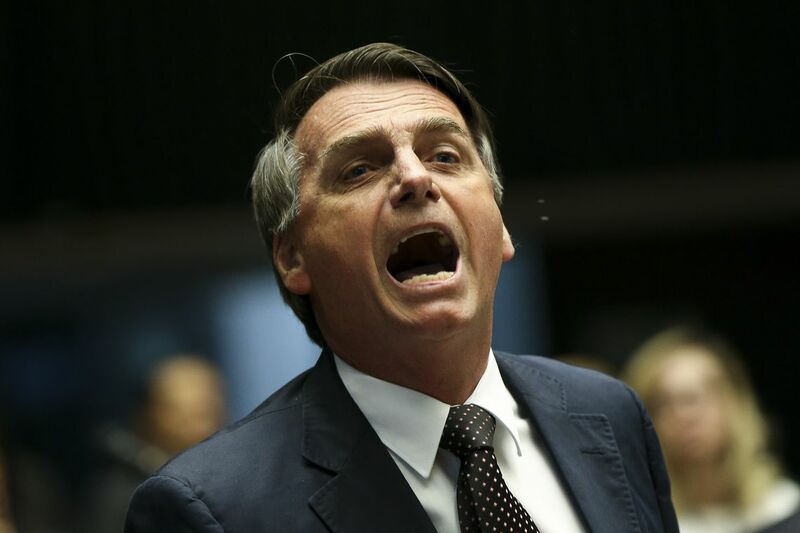 Bolsonaro has made misogynistic, racist, and homophobic comments publicly throughout his career. Many Brazilians have accused Bolsonaro supporters of hate crimes that align with this hostility. Last month, Bolsonaro was stabbed during a rally in Juiz de Fora. Instead of hurting his campaign, the stabbing strengthened his supporter base. However, the stabbing led to more visibility for Bolsonaro, resulting in an international backlash against his campaign on social media.